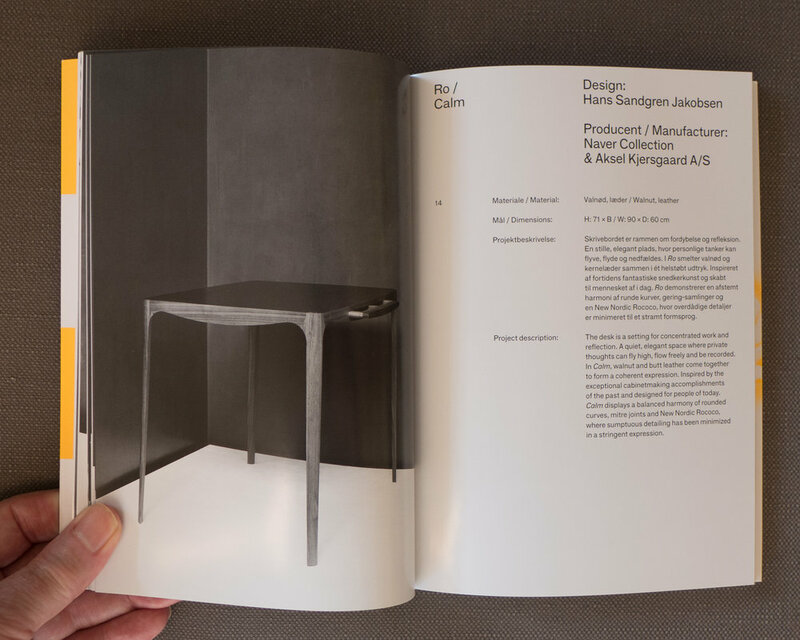 Designmuseum Danmark have just published a book about chairs in the collection of the museum. Most of the chairs are from the 20th century and most are Danish although there are several chairs that were made in the 19th century - an English Windsor Chair, an American Shaker Chair and Chinese chairs - that have been included because their forms of construction influenced Danish designs - and there are some modern international designs including chairs from England, Italy, Austria, Germany and the USA that help to set the Danish furniture in a wider context. 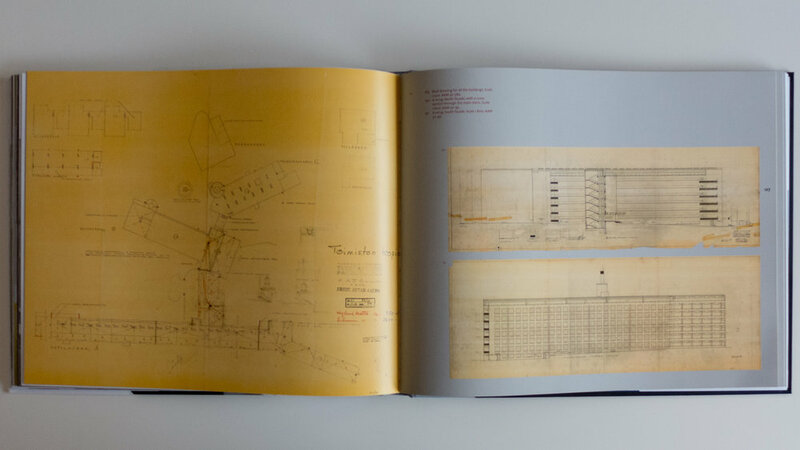 Essentially, the book takes the form of a catalogue with separate entries for nine stools and for 104 chairs with each on a double-page spread although for 31 of these the entries continue over to a second double-page that is used for historic photographs of the chair or for reproductions of working drawings. Descriptions for each chair are succinct with most of the entries just over a hundred words although several are shorter and only two of the chairs have a text that goes into a second paragraph. This certainly gives the book a clear and tight discipline. Because this is not a continuous narrative text, it reads more like good museum labels and that is appropriate as the book accompanies a new gallery for the collection of chairs in the museum that was designed by Boris Berlin and completed in 2016. With a relatively unusual format - the book is 150 mm wide and 270 mm high - the initial impression is that this is a handbook or even a pocket guide but at 32 mm thick and printed on heavy, good-quality paper this is a hefty book so would need a large pocket. Although it is tall and narrow, the double spread of facing pages gives a good and attractive square format. My only criticism of the book is that several interesting historic photographs and illustrations that have been placed across two pages are broken and distorted by a tight gutter. Christian Holmsted Olesen, the author of the book, is a curator at the museum and wrote a seminal book on the work of the Danish furniture designer Hans Wegner - Wegner - just one good chair that was published as the main catalogue for an exhibition at Designmuseum Danmark in 2014. His introduction here is short but wide ranging and puts chair design in the much wider context of Danish design in the 20th century. 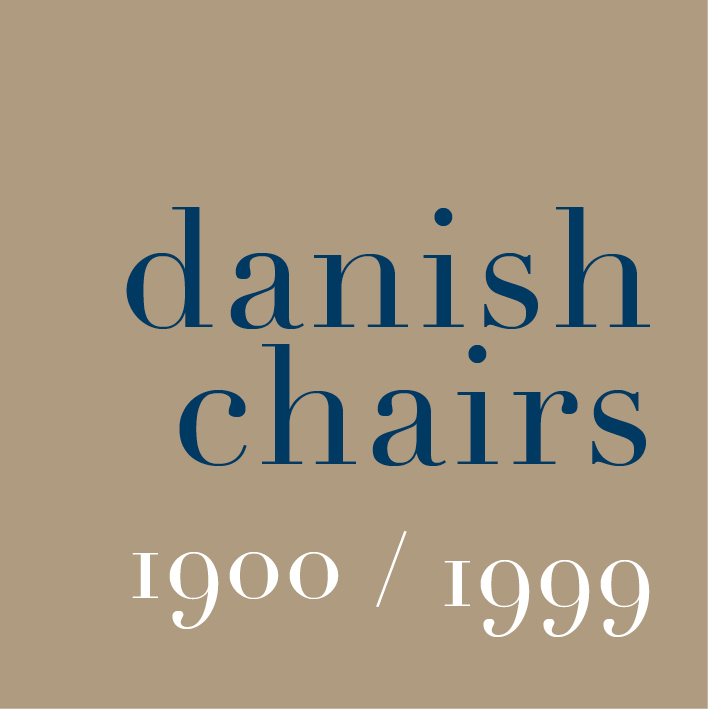 His aim is to show "how the so-called Golden Age of Danish furniture design was shaped by the study and refinement of historical furniture types," so the chairs in the book are not presented chronologically or by country but grouped by type … by form of construction. Types here are slightly different from the categorisation of form types in the museum gallery - presumably to be less specifically Danish and slightly more obvious for the foreign reader. The most straightforward change is that Shaker chairs, Chinese chairs and steam-bent chairs and the Klismos type of chair and Round Arm chairs - all types specified in the museum display - have been re-arranged in the book and those groups given new names. There is a new category for "Peasant chairs" - here including the influential Shaker chair from the collection and the well-known Church Chair by Kaare Klint and the People's Chair by Børge Mogensen - and the rest are divided between Bentwood chairs and Frame chairs. Each section is prefaced by a list of the specific chairs of that type or of that form along with the useful outline sketches that were developed for information panels in the exhibition. The book concludes with profiles of nine prominent and influential Danish designers …. Kaare Klint, Mogens Koch, Ole Wanscher, Børge Mogensen, Hans Wegner, Finn Juhl, Arne Jacobsen, Poul Kjærholm and Verner Panton. Again, these are short accounts but authoritative - presumably for the general reader who wants more information for context - and finally there is a short but again useful list of recommended books for finding out more. Pictograms used in the introduction to the exhibition for a diagram of the types of chair and to represent the specific chairs in each type are used here as stylish end papers to the book and then as a quick-reference index at the start of the section on a type or form of chair … here Low easy chairs. Most chairs have a double page spread - so here the Windsor Chair by Ole Wanscher from 1942. There are historic drawings for some chairs - here the Y or Wishbone Chair by Hans Wegner and historic photographs including the assembly hall of Kvinderegensen in Copenhagen - the university hall of residence for women with the chair designed by Rigmor Andersen in 1931. The catalogue for the Cabinetmakers’ Autumn Exhibition in 2018 at Thorvaldsens Museum in Copenhagen has a general introduction to the exhibition by the selection board and then for each work there is a double-page layout with a full page black and white photograph for each of the works. These monochrome images are dramatic and chime with the theme of the exhibition but also give a strong emphasis to the form of each work. Some pieces have a descriptive or evocative name - so Calm or Look don’t touch and a cabinet for the display of special possessions has the title Ego - while other titles are more straightforward, with works described as Chair or Table and Chair. Of course the catalogue sets out the name of the designer and the name of the cabinetmaker or the company who realised the work and each entry includes the materials and the dimensions of the piece. There is also a short paragraph on each work to set out any thoughts that inspired the design or to talk about technical details - many of the pieces use material in an innovative way or the construction is much more complicated than is immediately apparent - and there is a translation in English. Graphic design is by Studio Claus Due and the black and white photographs were taken by Torben Petersen. The Anatomy of Colour begins with types of paint - from distemper to lime wash to milk paint and more - and then Patrick Baty sets out the sources of pigment for those paints so through white paint, black paint and then on to each colour through the blues, the browns, greens, reds and yellows - so, generally, for each colour, he traces the development from natural pigments, from plants and minerals, to the by-products of emerging industries and then on to the first pigments by industrial chemists. Historic practices and techniques for house painters are discussed; there are fascinating reproductions of historic catalogues for the paint brushes and the tools of professional painters and the author looks at the early organisation of guilds and paint companies. However, for designers, the important contribution of the book comes from the extensive number of historic colour charts reproduced along with summaries of early colour theories and detailed discussions for each major period or each major style and fashion, that helps set historic design within the context of colour. He combines longer sections of text with carefully designed double-page spreads and uses longer captions effectively so you can sit and read the book cover to cover or you can use the book and its images as a reference encyclopaedia seeing where cross references take you. We tend to describe styles and the relatively distinct periods of interior design in terms of the forms and types of furniture that were popular in a certain period and we also recognise distinct patterns that appear on furniture or are reproduced on textiles but certainly styles or periods can have distinct preferences for colours or, and more interesting, for the juxtaposition of certain colours. Even the choice of materials can be determined by what are fashionable or unfashionable colours so distinctly orange Oregon Pine was popular for a relatively short period and Formica was as much about having a wide selection of deep strong colours as it was about having a smooth clean surface for food preparation. Reproductions from historic paint charts and books or articles about colour theories by contemporary artists and designers show how the presentation of colours and any general discussion about colour can influence our choice of colours for our homes. We may not even realise we are being influenced because, of course, although we feel now that there is almost infinite choice, what we see clearly here is that what designers select and what companies produce and make available and what they advertise all influence that choice. It is absolutely right to describe this book as an anatomy of colour because, in a careful and scholarly way, the technical development of household paints and the theories of colour and the preference for certain colours in certain periods is dissected. It feels, in a good way, like sitting in an old-fashioned lecture theatre with high banks of seats to watch someone with skill take something apart, with care, to say now look at this … isn’t it fascinating … and this is how and why it works. Book reviews here are normally for new or recent publications - or at least for books that are still available - but this is a fascinating gazetteer that is a very useful introduction to the architecture of the city and it can still be found second-hand in book shops. Published to mark a hundred years of the awards, some of the buildings that received awards now seem obvious, particularly when they were designed by well-established architects, so the police headquarters by Hack Kampmann received an award in 1927, the SAS Hotel by Arne Jacobsen received an award in 1962 and Paustian Hus by Utzon Associates received an award in 1988. There are some curious omissions - so the Grundtvig Church was not given an award when it was completed although the Bethlehem Church on Åboulevard, also by Kaare Klint and completed in 1938, received an award in 1939. Styles and materials go in and out of fashion and, as you look through these awards, they record trends in architecture and throw a spotlight on social and economic pressures through each period and the awards indicate, at least in part, priorities for planning in the city. Through the first decade or so, there are a number of large buildings in red brick and with ornate features and decoration in stone - particularly buildings around the town hall and along the streets and blocks to the north. The Hotel Bristol by Hans Nielsen received the award as a “new commercial property” in 1903 and the Palace Hotel by Anton Rosen, completed in 1910 was given an award in 1911 with the Studenterforeningens Bygning, Student Association Building, on the corner of HC Andersens Boulevard and Studiestræde receiving a building award in 1912. These are certainly not what we would understand now to be modern architecture but these were clearly appreciated as some of the best buildings of the period. The city gates and defences were not dismantled until the 1870s and the development of that land and the rapid expansion of the city outwards beyond the defences and beyond the lakes made a profound difference to the city. This can be seen clearly in these brick buildings that were mainly new, purpose-built offices and new commercial properties around a new town hall. Walking into the city from the main railway station few people would recognise this as a deliberately-planned commercial district but that is what it was and that is what the Building Awards celebrated. Many of the later buildings reflect that establishment of a new area for trade and civic government - so Den Permanente, where the best of Danish design was shown though the 1930s and 1940s was in this area, just west of the station, and the Association of Danish Industry was and still is here close to the City Hall. The SAS Hotel was, in part, here because as the air terminal for SAS it was planned to be the entry point to the city for foreign businessmen and politicians flying into Copenhagen. Even the Design Museum, when it first opened, was here in the red-brick building immediately west of the city hall on the edge of the Tivoli Park. What was “modern” about these buildings was their scale, the development of new building technologies for purpose-built commercial buildings such as hotels and buildings with public or state or political functions - so should include the Carlsberg Glyptotek and academies and institutions like the prison south of the city hall. There was also a common agreement on an appropriate style - so in the 1870s and 1880s French influence - in the first buildings along HC Andersen Boulevard - but then by the turn of the century Italian - perceived as historically the architecture of banking and of wealthy merchants - and then by the time the Free Port opened in 1904 - there was a renewed self confidence in Denmark so architects look back to the architecture of 17th-century Denmark for inspiration and a comfortable and appropriate form of nationalism. Later, the awards recognised very different types of building and the political and economic changes of the 1920s and 1930s. There was a change of political focus so a large number of the new apartment buildings that were constructed around the city through the 1920s and 1930s received awards. As the city expanded out into new suburbs, traditional individual homes and new housing was recognised with awards so Bakkehusene by Ivar Bentsen and T Henningsen in 1923. Significantly, over nearly 120 years, a third of the awards have been for projects to restore or convert historic buildings. Of course, styles still go in and out of favour … several concrete buildings that are not generally appreciated now have received awards so, for instance, the housing in Princessegade by Tegnestuen Vandkunsten in 2001 might seem rather brutal and certainly out of fashion but they might well return to favour as an antidote to just too many glass and aluminium boxes and too much cladding. new buildings and extensions of residential, commercial and cultural institutions. restoration, reconstruction, renewal and conversion of listed buildings and buildings worthy of preservation, renewal and transformation of cultural or architecturally valuable urban areas and conversion of other urban areas. refurbishment of apartments established in buildings that previously served other purposes. urban environments, such as squares, parks and facilities and gable decorations, signage and furnishings. Normally reviews here are for books that are still in print but this is a really good general introduction to the buildings and the furniture and fittings that were designed by Arne Jacobsen and it can still be found second hand. It was published by the Danish Design Center to coincide with a retrospective exhibition. The format is interesting with the pages 240mm wide by 229mm, when bound and trimmed, so a double-page spread is almost a double square. Those double-page spreads are used well with most covering a single building or single theme and with the use of whole page images and the use of bleed off to good effect. There is a good use of black and white photographs including historic images. Of course black and white photographs were more prolific in book production to control print costs but black and white images can also have distinct qualities in high lighting shape and form where sometimes colour can be a distraction and for many buildings black and white images heighten the drama of a space … often by bringing stronger emphasis to lines and edges. All text and captions are in both Danish and English but used cleverly in columns with captions either stacked in a singe narrow column or actually divided to the margins of facing pages if appropriate so this is fairly subtle and you rarely have the impression that you are reading half a book. There are a number of interviews that are spread through the book but distinguished by being printed on a pale grey paper. These provide a real insight into the working practice of Jacobsen from people who worked with the architect and many who worked with him over many years and on many projects. These include Erik Olsen and Ove Hansen - who had worked with Jacobsen on the lighting produced by Louis Poulsen - Hansen was the chief engineer for Louis Poulsen - Verner Panton who worked in the Jacobsen design office - M Folmer Anersen who was the engineering consultant on several projects and Henning Simony who worked for Novo and collaborated with Jacobsen on the buildings he designed for the company. Sandor Perjesi was a sculptor who worked with Jacobsen on the full-sized plaster models for the chairs for the SAS Royal Hotel and Peter Lassen worked on project development with Fritz Hansen and there are interviews with the men who worked with Jacobsen on the design and construction of St. Catherine's College in Oxford including Lord Bullock and Jack Lankester from the university and Knud Holscher who managed the project on site in Oxford. There are some fascinating revelations that focus on Jacobsen's approach to design and work methods so for instance building projects were presented to clients with beautiful water colour drawings - several books of Jacobsen's water color paintings and studies from nature have been published - but furniture designs started with a small and often very rough sketch and then evolved through a series of models from the workshops of the companies that were then edited by Jacobsen and sent back for revisions … often many and many small revisions. In several interviews it is stated that Jacobsen could be very critical and was very certain about what he wanted but was usually right and several designers make the point that few of his designs were unique or revolutionary in their initial conception but that he was very clear about how a form or a technique could be developed and how in that process he imposed his specific and personal aesthetic. It is also clear that, although many might assume that he completely controlled projects from his design office, that was not done by doing everything himself or by not letting things go but by either inspiring or demanding loyalty. Perhaps on major projects like the SAS Royal Hotel or the National Bank in Copenhagen, that was the only way that so much could be achieved in a relatively short time … was Jacobsen like Leonard Bernstein … a composer but also a great if difficult conductor? The book ends with an interesting text from an interview with Arne Jacobsen that was published in the newspaper Politiken in February 1971 … interesting because Jacobsen rarely talked at length about his work and rarely talked about theory or aesthetics and this was published just a month before his death. There is also a short bibliography and a useful chronological list of works that incorporates basic biographical information. This is one of twenty eight volumes published by the Alvar Aalto Foundation and the Alvar Aalto Academy to cover the work of the Finnish architect. 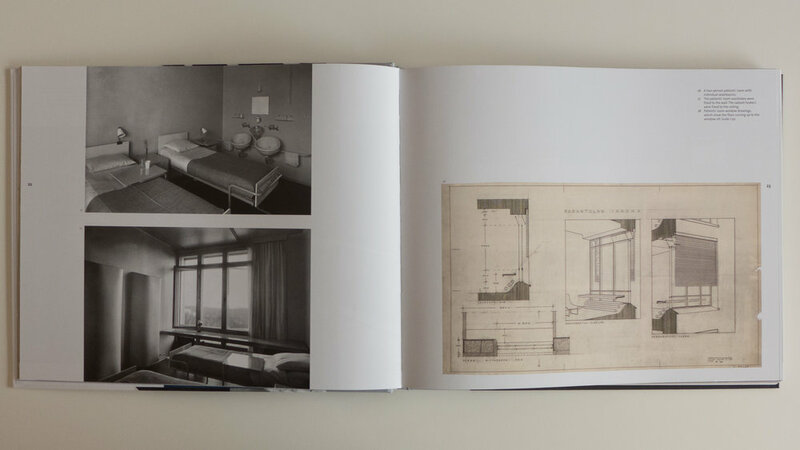 The format, with pages set landscape, allows generous space for an attractive layout but also gives an appropriate page size for the reproduction of design drawings for the Sanatorium and its fittings and furniture. Paimio Sanatorium written by Teppo Jokinen, includes some of the preliminary drawings by Aalto that were entered for a competition for the building in 1929 and drawings for the expansion of the scheme, a decision made before construction started, when the city of Turku joined with the original municipalities. To expand the facilities, two extra floors and a roof terrace were added to the main block of rooms for the patients to treat up to 296 patients from 52 municipalities with up to 100 of those beds available for the city of Turku. The arrangement of blocks on the site has a long but narrow main range with bedrooms and balconies on six floors angled to face south-east and south to benefit most from the sun and so rooms and balconies look out over the forest. A separate block containing administration spaces and a dining room, library and consulting rooms and surgeries was set behind but linked to the main block by an entrance hall with lifts and the main staircase. There was also a boiler house, ancillary buildings and housing for physicians and other staff that are reminiscent of the housing for teaching staff at the Bauhaus in Germany and the housing built for the exhibition in Stuttgart in 1927. It was a complicated building with innovative features including windows with baffled ventilation to ensure fresh air without drafts; heating systems that were designed to ensure air circulation without uncomfortable areas of high heat; a complicated lighting system including shades and baffles - reminiscent of the work by Poul Henningsen in Denmark at the same time - and of course the famous washbasins in each room that were placed on the wall towards the corridor so they could be serviced from outside without disturbing the patients but were also designed to be splash and sound proofed because many suffering from tuberculosis became very sensitive to intrusive sounds. Aalto, and what seems to have been a relatively small office, achieved all this within a tight time frame as the building was ready to take its first patients by 1933. The essay Paimio Interiors by Kaarina Mikonranta discusses the importance of light and colour in the programme of therapy and looks at everything Aalto designed inside from furniture and light fittings, to the door handles that were designed so that the coats of doctors would not snag as they pushed through the doors. Given that most patients occupied rooms with just two beds then there would have been rather a lot of opening and closing doors through an average day. Some lighting came from an earlier project - so the pendant lights were shown at the Helsinki Minimum Apartment exhibition in 1930 - but 10 new models were produced Oy Taito Ab. Paimio Sanatorium - repairs and modifications by Ola Laiho is a useful summary of the subsequent changes made to the building and its fittings. Many were undertaken by Aalto or by the partnership that continued after his death. A new operating theatre was added in 1958 and then, after the Sanatorium was converted to a general hospital in 1960, the distinctive balconies and sun deck were converted to interior spaces, with that work completed in 1963, and, perhaps the most obvious change, the glass walls of lifts were replaced with concrete. Paimio Sanatorium Project Description quotes in full an important summary of the project by Alvar Aalto himself. To complete the volume, there are photographs compiled by Maija Holma and three essays - Tuberculosis in Finland in early 20th century by Arno Forsius; Early days of the sanatorium (1860-1902) by Anne Marie Chatelet and The Sanatorium in Europe in the 1920s and 1930s by Jean-Bernard Cremnitzer - that are general but set out important context for planning for this type of special hospital that became common throughout Europe in the late 19th and early 20th century. Although the book was first published in 1999 it is still available. Images in the book and the typography and layout make this an important book in its own right but the format, with a number of independent essays provides an important overview of the life and work of the designer and insights into his approach to design and his work as they knew or worked with Poul Kjærholm. 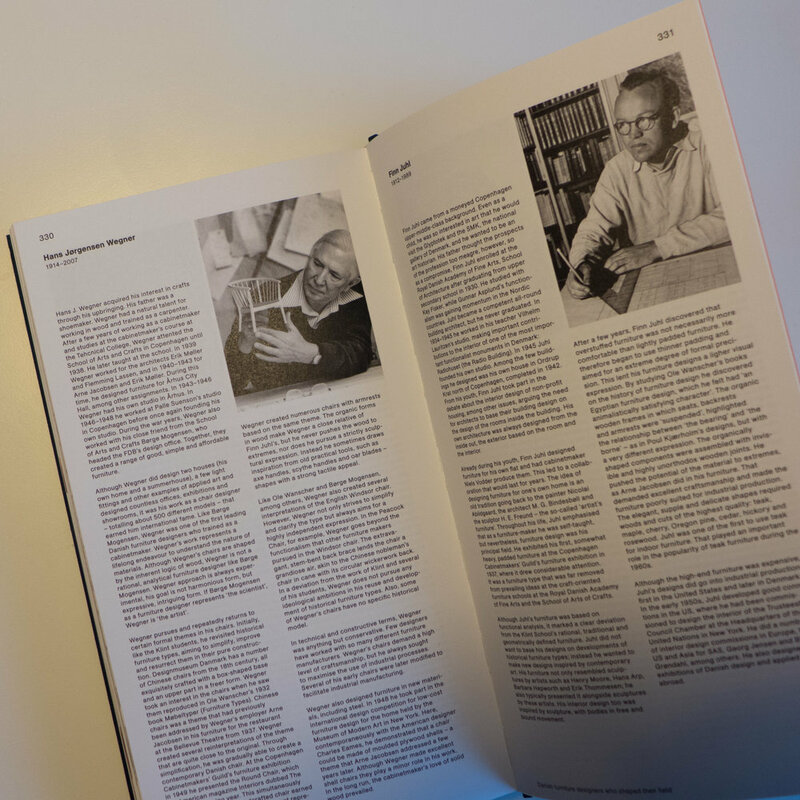 The foreword to the book is by Jørn Utzon who taught Kjærholm and then there are five essays or chapters and an interview by Axel Thygesen and Arne Karlsen with Poul Kjærholm from 1963. There is a biographical resumé and a full list of works arranged chronologically - including proposals that were not put into production. Erik Krogh in the first essay Architect and Furniture Designer identifies an important and intriguing division in the furniture designs between the sculptural forms, such as the extraordinary chair made of two shells, and the disciplined and restrained architectural pieces that reduce chairs to a series of flat planes. Ulf Hård af Segerstad in the essay Poul Kjærholm - An Architect, Not a Designer reinforces this view and Christoffer Harlang in Lightness and Weight puts the works by Kjærholm within the context of Danish architecture in the 1950s and 1960s. The control of space is discussed further in the section on Exhibitions and Special Spaces by Nils Fagerholt that includes photographs of a room setting for the Museum of Applied Arts in Trondheim from 1952, the displays of his own work that Kjærholm designed in galleries and showrooms in Copenhagen and exhibitions in Milan, Montreal and Paris where his furniture was set out, generally, within a grid defined by large photographs that formed screens and by simple large rugs and by a precise use of lines of pendant lights to reinforce the division of larger space into smaller simple and clearly defined areas. An important essay by Ole Palsby - Setting a Standard - explores the role of Ejvind Kold- Christensen in the development, manufacture and promotion of the designs from Kjærholm. This is a major reference work - not just for the history of modern Danish furniture design and the design of homes but these volumes, compiled by Greta Jalk, are also a record of social history - recording much about how Danish families lived or wanted to live through that period of massive changes in the middle of the 20th century - and indicate much about Danish business and the way that Danish design, through this period, was marketed. There is a forward and a general introduction but otherwise the volumes are set out year by year with contemporary photographs of the furniture shown at each exhibition, along with some technical drawings. There are images of the covers of the exhibition catalogues - themselves giving an insight into Danish typography and graphic design through this period - and quotations from contemporary reviews of the furniture. By the 1920s a widespread economic Depression across Europe was having a marked effect on the independent furniture makers and on the furniture trade in Copenhagen and to compound the problem, there was a clear change in the way people were living, so a change in what furniture they needed, with a growing number of people living in smaller apartments in the large number of new apartment blocks that were being built around the city. Trade and craft guilds from the medieval period onwards had been formed to oversee the training of apprentices and to protect craftsmen and their work in their own cities - guilds were based in cities and towns - and to monitor and where necessary restrict competition. Usually the guilds also provided support for widows and retired craftsmen. Through the 19th century, in major historic cities in Europe, these craft guilds began to loose their relevance as methods of production, of all sorts of goods from glassware to furniture, moved from small workshops that served a district or a town or a city to larger and larger factories. So it is ironic that Denmark, producing now some of the best and most highly regarded modern furniture, does so because it’s old craft guilds survived longer than elsewhere and fought back and in the process adapted and changed. So the first Cabinetmakers’ Exhibition in 1927 was organised as a way of demonstrating the skills of the furniture makers in the city and to bolster sales or, rather, to revive flagging sales. Exhibitions were held in different venues but at an early stage room settings rather than simple display stands were built. Clearly, the aim was to show people, particularly young couples, how they might furnish a new home and they encouraged people to see furniture made by cabinetmakers as not just for the wealthy upper middle classes but as a sensible source for well-made furniture for a broad range of families. In the second year, in 1928, there was a crucial change when cabinetmakers began to collaborate with architects and furniture was shown that had been designed by Viggo Sten Møller and Kay Gottlob and a sideboard was shown that was designed by Kaare Klint that was made by the cabinetmaker Otto Meyer. That set a pattern and - to use a pun deliberately - that set the bench mark for the next forty years. These partnerships established an important precedence where designs and styles evolved - not just through discussion amongst the cabinetmakers but year on year as a response to what the market wanted. Obviously, this furniture can not be completely representative of all furniture made through this period and nor was it all successful. Some cabinet makers were more adventurous than others … some produced amazing pieces of furniture that were not widely appreciated while other designs went on to achieve commercial success and some pieces are still produced and sold today. The photographs and drawings in these volumes show how the way of life in the city for many changed through this period so, for instance, large cupboards for storing 12 or more place settings for formal dining disappear and tables and dining chairs become more compact. There were few beds shown - presumably for the simple reason that people don’t buy beds too often - but towards the later years there was quite a bit of furniture for the garden or balcony. from 1962 bar stools in rosewood designed by Mary Beatrice Bloch and beds in teak designed by the Icelandic designer Gunnar Magnusson made by Christensen and Larsen. The sofa chairs and combined dinning table work table are also in teak, designed by Steffen Syrach-Larsen and made by the cabinetmaker Gustav Bertelsen & Co.
What you see, above all through these 40 years, is how the shapes and styles of chairs and tables and cupboards become simpler visually so superfluous decoration of any kind disappears. That is not to suggest that the furniture compromised quality by becoming more basic so cheaper to produce. Actually the opposite. As clear form and shape become more and more important then there is nowhere for shoddy workmanship to hide. If there was any extravagance or bravado it was through using more expensive imported timbers such as walnut or teak but there was always a focus on quality of workmanship to demonstrate mastery of woodworking techniques. Nor is that an implication that the cabinetmakers were defensive or protectionist or reactionary because many of the pieces shown at the exhibition involved new methods of construction that required new machines and jigs and new ways of working with wood - many of the most adventurous designs by Hans Wegner or Finn Juhl would have been impossible to make without new techniques for shaping, bending and joining wood. Furniture makers were moving from the workbench to the idea of the larger workshop or factory where larger numbers of each piece could be made so these exhibitions were less and less about the one-off commission, although those must have been welcome, but more and more about the establishment of an outward-looking and successful furniture industry. Chair designed by Jørgen Høvelskov and made by the cabinetmaker J H Johansens was shown in 1966. Our Urban Living Room - Learning from Copenhagen was published as the catalogue to an exhibition with the same title at the Danish Architecture Centre in Copenhagen. The exhibition opened in October 2016 and continued until the 8 January 2017. The book is not far short of 500 pages and is packed with photographs and drawings about the work of Dan Stubbergaard and his team at COBE with a dialogue between Stubbergaard and the Copenhagen planner and author Jan Gehl and, in the middle of the book, there is an interesting and revealing discussion between Stubbergaard and his contemporary, the Danish architect Bjarke Ingels. The layout and form of the book is interesting because it adopts some of the ways that material is now presented on the internet ... so there are various levels of information, extended captions and spotlighting of important ideas that lead you somewhere else and themes that reappear but not within a rigid narrative. It is a brilliant exercise in communicating complex ideas - so there are graphics with several sequences of drawings that show how solutions evolved and there are simple graphics to show what is actually a complex process to draw out of the confusion of a complicated place the key ideas that might not be immediately obvious … so for the square above the station at Nørreport it is about actually understanding how people really do cut across the space or where they leave their bikes or for the recently-completed development of Krøyers Plads the drawings show how the orientation of historic warehouse buildings along the harbour and the architectural vocabulary of these earlier buildings inspired the final form and orientation of three new blocks of apartments on two sides of an existing basin of the harbour. There is a sequence of drawings for Krøyers Plads that COBE publish on their internet site that did not make it into the book or the exhibition but they show how the architects look at an extensive area - a surprisingly extensive area - to understand the wider existing urban context of their new buildings. So for Krøyers Plads they not only looked at how the harbour immediately around the site had developed but also looked at the whole length of Strandgade - the spine of the harbour side of Christianshavn. There is an incredible mix of complicated buildings along Strandgade but COBE simplified the streetscape to the outline shape and the orientation of the buildings, stripped of detail, and by doing that revealed an underlying order and a potential new relationship between one end of the street and the other … a relationship between a tall narrow building - an important 18th-century church tower and its spire, and the space of a square in front of the church - that is at one end of Strandagde and at the other end a new arrangement of a new public square they are creating at Krøyers Plads with the tall end elevation of one of the new apartment buildings as a key element. At one point in the book Stubbergaard says, "I believe we have come to read architecture" but he also understands just how important it is to explain that to people … to explain what they, as architects, are trying to do and why. The book tries and succeeds in showing his thought process as his ideas evolved for certain projects and it is clear that in a discussion Stubbegaard wants to take the listener or the reader to the same conclusion for the same reasons … what appears to be important to him is the idea of architecture by consensus. He is inspired by architecture and appears to be exceptionally good at explaining his views and ideas and at one point in an interview he talks about how much benefit could come from teaching about architecture in schools. "As architects, we must be able to interpret, moderate, to be communicative and able to pull together a lot of people. Architecture today is so much more than drafting lines and building models. It demands enormous social skills, both internally and externally. We have to be able to manage enormous budgets, coordinate complex logistics and physical situations on society's behalf." It is that last phrase … "on society's behalf" … that is probably crucial if you are trying to understand what COBE are trying to do through their work. When asked if COBE has a signature style Dan Stubbergaard replied that the main characteristic of their projects is that "they are not recognisable" … and goes on to explain that the idea of iconic buildings is foreign to him. Is that completely true? The conversion of The Silo in the Nordhavn area of Copenhagen will see a well-known feature of the dock skyline become a key building of the area that will be fairly iconic and the back catalogue is putting together some buildings with distinct family features ... the piling up of small units of a domestic scale to form child-friendly schools at Frederiksvej Kindergarten and Kids City or the stacking up of large metal boxes at Library Nordvest or the Danish Rock Museum. What comes across so well in the book is the importance of the city itself in Stubbergaard's work so hence the title of the exhibition and the book. He explains that, "Copenhagen is our laboratory, our playground. This is the place where our architecture was allowed to unfold and develop. Knowing the city, the culture, Copenhageners, is a prerequisite for experiment and new thinking, for being bold, even radical in the creative sense of the word." He has a deep understanding of the city - a sense of the place, an understanding of the history and the people of the city that formed the buildings and how those buildings influence the way that everyone lives so he looks at how people use their built environment and is clearly focused on how the city will influence what the next generation does next. Although he is a designer of innovative modern buildings he also understands the importance of learning from the past. He is "personally very interested in historic buildings, because they reflect their times and contemporary society" but is also refreshingly honest about how much control architects have over how their buildings will be used after they hand them across. "What an architect imagines, drafts and plans is one thing, but life itself is powerful and unpredictable. It will take over a building." So he has an awareness not only about how people actually do move around the city and use its buildings and its public spaces but he is working hard to take his observations and his perceptions and ideas forward to use new buildings and new public spaces to improve the way people can live in the city, to merge as a whole "function and surroundings" which are his "particular source of inspiration." As Stubbergaard explains in the forward, the book is a 'compendium' of what these architects have learnt from their urban experiments in Copenhagen. One of a series of guides published by Bygningskultur Danmark for the main periods of Danish architecture. This is an excellent overview of Funkis or functional architecture with photographs of many of the important houses and apartment buildings that survive but also with contemporary drawings, plans and cartoons. Pages of photograph set out examples and information about appropriate and inappropriate attempts at conservation and the book has good examples of fittings from the period, such as door handles and radiators and so on, that may have been replaced in the houses and apartments that survive. Steen Eiler Rasmussen was a Danish architect, a planner and a professor at the School of Architecture in Copenhagen who travelled widely including to China. Om at oplev arkitektur was published in 1957 and the edition in English, Experiencing Architecture, came out in in 1959. Humane and gentle, in a scholarly way, his book is about as far as it is possible to get from a linear history of architecture: he includes discussions on subjects from the baskets of a Cherokee Indian reservation to not being able to sing in the bathroom at the Faculty Club at the Massachusetts Institute of Technology when he was teaching there because the acoustics were muffled. He analyses how we piece together our impression of a building by using our experience of other buildings or our appreciation of materials or what we understand about certain forms of construction. Along the way, there is sharp and perceptive analysis - so for instance on the differences between buildings by Le Corbusier and Mies van der Rohe … Rasmussen thinks it is because of the very different ways they appreciated how planes define a space. "Architecture is not produced simply by adding plans and sections to elevations. It is something else and something more. It is impossible to explain precisely what it is - its limits are by no means well-defined. On the whole, art should not be explained; it must be experienced." "sets the stage for a long slow-moving performance which must be adaptable enough to accommodate unforeseen improvisations. His buildings should preferably be ahead of its time when planned so that it will be in keeping with the times as long as it stands." In a short book - it can be read in an evening - he discusses incredibly complex ideas like the influence on the early development of what we would now see as modern architecture of the movement in painting known as Cubism where planes - light and heavy - move away from solid or void, space and mass and sculpture with no sense of structural thickness and begin to break down distinction between inside and out by using those flat planes with simple proportions. "It is not enough to see architecture; you must experience it. You must observe how it was designed for a special purpose and how it was attuned to the entire concept and rhythm of a specific era." He describes complicated buildings in these broad-brush ways that suddenly explains why there is something you sensed but did not quite understand before … so, for instance, he describes the amazing interior of the Pantheon in Rome. There, the only natural light is from the open door and from the opening at the very top of the dome. The building is one of the great architectural experiences in the World but he compares that with the light in the interior of the Cathedral in Copenhagen - Vor Frue Kirke - a neoclassical design by Christian Frederick Hansen that was completed in 1829. The nave of the cathedral, like the Pantheon, is top lit, but it lacks drama and the natural light is somehow dull or flat. Reading Rasmussen's analysis, I now realise that the light in Vor Frue Kirke is too even and too rational, so it has eliminated shadows. Interiors need both light and absence of light. Rasmussen makes important points about light in architecture because, he feels, too many architects see light in terms of quantity rather than quality. He discusses cross light in a space and the very particular way that light works in historic Dutch buildings where ceilings are high - land and space were expensive in Dutch towns so height becomes the compensation - and Dutch windows, with the lower half shuttered and the upper part with glass, give a distinct quality to historic interiors seen in the paintings by Vermeer or Rembrandt. What Rasmussen does not talk about are the interiors painted in Denmark by Vilhem Hammershøi at the beginning of the 20th century but those paintings are equally susceptible to such careful analysis because they are either an influence or possibly just simply a reflection of the emergence of simple, clean stripped down interiors in 20th-century Danish homes. 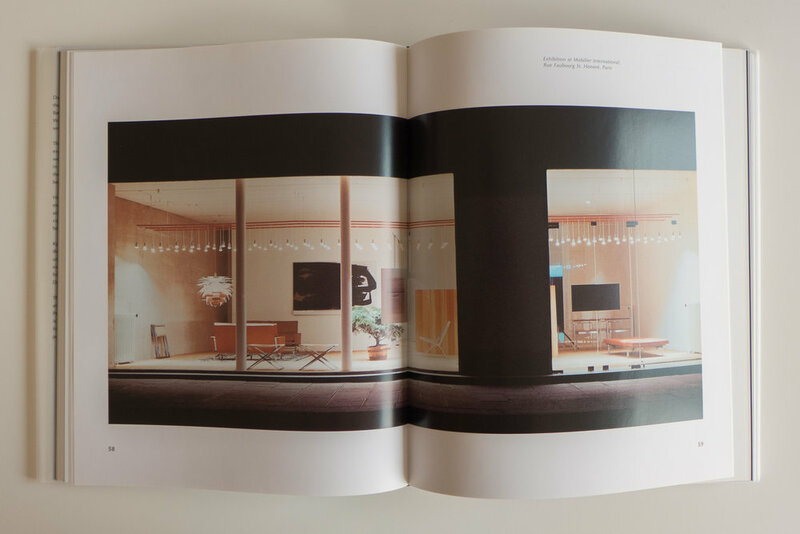 Reading Rasmussen's view of how light influences our perception of buildings and interiors, it is clear that too few architects now control natural light with sufficient subtlety. Colour too is important - not just in itself but for how it effects our perception of the building: "In architecture colour is used to emphasize the character of a building, to accentuate its form and material" and to "elucidate its divisions." It is that last part that again seems to be lacking in too many contemporary buildings. Some section of the book seem endearingly perverse. Rhythm is important in architecture and planning although we rarely perceive it or talk about it. There are obvious examples like the pattern of light and dark as we drive along a main road at night because lampposts are equally spaced or there is a rhythm of verticals along a continuous line of buildings in a street because, although the buildings are different in design, their width is so often determined by historic and equally-spaced plot boundaries. But Rasmussen ties rhythm in architecture to other creative arts … to music or dance … so there is a wonderfully eccentric description of the Spanish Steps in Rome. I accept that these are incredibly complicated in their plan - with steps on the centre line of the steep slope splitting to either side into narrower curving flights that come back together and then divide again - but Rasmussen relates it to the wide skirts worn by women in the period, and men who wore high-heeled boots and trained with fencing masters so people moved differently: they were more used to dancing so the complicated pattern of the steps are, for Rasmussen, "the petrification of the dancing rhythm." He point out that, in experiencing architecture, the most important thing to appreciate is exactly how we move through or around a building and that is also the most difficult thing to describe. And that is not just true for public space: "if we believe that the object of architecture is to provide a framework for people's lives, then the rooms of our houses, and the relation between them, must be determined by the way we will live in them and move through them." Brilliant. This major monograph on the work of Arne Jacobsen includes not just an assessment of his buildings but sections on furniture, textiles and water colours. Life and Work - the first part of the book with 12 chapters - covers Jacobsen’s early life and education and then looks at fairly contained aspects of how his work developed and organised around marked stylistic phases … so The Reception of International White Modernism is followed by Plastic Form and Space Versus a Two-dimensional Effect; Modern Monumentality and The Time in Sweden that, for instance, covers the period up to and including the Second War. An analyses of selected works is similarly grouped with seven sections that includes Monumental Modernism; Regional Modernism: Post-War Modernism and The International Style. These are the headings as shown in the table of contents but in the book itself, where headings for each section are marked by a full title page, these headings are expanded in a much more informative way so those same sections titles are actually The Marble-clad Structure Part III Monumental Modernism; Bricks and Pitched Roofs Part IV Regional Modernism: Oblique Profiles Part V Post-War Modernism and The Box and Organic Form Part VI The International Style. Within these sections, buildings are covered as a full page, a double-page spread or where appropriate, for the major buildings, more spaceThis gives a clear and rational layout with a good use of typography and graphics that forms an easy-to-search catalogue but also shows, in the choice of photographs and drawings, that there are themes or forms or ways of using materials that reappear and are explored by Jacobsen in a different way in subsequent buildings. Furniture, textiles and architectural fittings are discussed alongside the buildings for which the pieces were designed. Furniture historians may feel this gives this area of Jacobsen’s design work short shrift but it does keep all the design work within its context. Throughout are observations and quotations that reveal much about Jacobsen’s work method and the energy and drive that produced so much … when today, so many architects with an international practice head up a huge design studio, it is fascinating to learn that through the 1950s, perhaps Jacobsen’s most productive period, his office was only ten people and they were working in the studio in the lower part of Jacobsen’s own house in Klampenborg. And given the relatively small size of the practice … a team who more than many comparable practices designed every aspect of a building and its furniture and fittings … also seemed driven by the need to enter and compete fiercely in open competitions for major projects. A chronological list of works; a personal chronology - so biographical events and personal awards - and lists of exhibitions and a bibliography complete the study. Simon Jeppesen is a photo journalist and his book presents twelve portraits - both pen portraits and images - of twelve people in their work places. The publishers explain that these are people who have skills and abilities that mean that they can do something special and that they have something special to teach us. As the full title of the book is Tolv portaætter, Dansk Håndværk, Udfordring mellem tradition og fornyelse … Twelve portraits, Danish Crafts, Challenge between tradition and innovation … there is also an implication that these artisans are adapting and trying to make their skills applicable now but, unless the rest of us appreciate that, those skills and an alternative approach to making things is threatened. One of the subjects, Heidi Zilmer, was at northmodern at the Bella Center in Copenhagen earlier in the month to show her hand-painted wallpaper and while looking at the exhibition of work at northmodern by the ceramicists of Den Danske Keramikfabrik, I bumped into and talked with Tine Broksø and Karen Kjælgård-Larsen - the subject of a second of the ‘portraits’ Claydies - who are very much part of the factory group but were not showing their own ceramic work at northmodern. Tyge Axel Holm is a furniture maker and Tom Eltang makes tobacco pipes so in most ways all are traditional or conventional artisans or makers. However, others included in the book might not be working in what we see as obvious crafts … those crafts that by association are seen as rural or traditional country crafts such as weaving or basket making … but the selection here is deliberately more controversial and much more thought provoking to reinforce the point that not all hand-made products are about nostalgia or conform to a romantic view of craftsmanship. Christian Korsgaard Knattrup Sørensen is a skilled bricklayer, Poul-Henning Kamp a programmer and data manager, and Jens Peter Bredholt an instrument maker. The work of Mahdi Kazemi, a joiner, Frank Thuesen a welder and metal worker, Karina Mott a tailor and Nina Løjborg an upholster are perhaps closer to our preconceptions about what someone who ‘works with their hands’ should be like. So this book is not about style or about the techniques of the work and not even about the work produced, but presents strong arguments for independence and about individuality and diversity when we think about how and why we work … much broader and much much more important issues than how traditional crafts might be encouraged as commendable but slightly extreme or unusual or obscure ways of making everyday things. My grasp of Danish is worse than feeble, but I’m about to begin language classes and will certainly return to this book for a more thorough review once my grasp of the text does not depend on Google translate. Dorothea Gundtoft is a writer but also an editor and owner of the fashion and style magazine N-Degrees.com and she was Stylist of the Year at the Elle Style Awards in 2013. The format of her book is interesting, ostensibly a general design book but adopting features of on-line magazines so entries are short, self-contained and, in the main section of the book, take the form of question and answer dialogues with designers, architects and others - a format popular now on blogs. There is even a tag cloud inside the front cover and the Directory at the end does not have postal addresses but lists web sites - although, of course that makes more sense on a digital site where you can click through with a link. None of this is criticism because the book adopts and adapts that online style well. If anything, the attempt at a sort of cross-over format highlights clear reasons why it is difficult, even for a book set out like this, to make that next step to digital publishing and it’s reassuring to see that printed books still have some advantages over online competition. I sat down and read through the whole book and gained a lot from doing that but online there would always be a temptation to jump and skip, just because you can, and there are some features with a printed book that are difficult to copy across to online publishing so you can flick through a book to back-track quickly to a reference or to make comparisons between images in different sections - both still awkward in a digital format. The book begins with ten short pieces on Influential Figures looking at major people or design companies from the classic period of Scandinavian design - so including Artek, Finn Juhl, Svenskt Tenn - to provide some context and give space for general observations about Nordic design in the 20th century. Then, at the core of the book, there are 50 interviews with each preceded by a very short introduction - a pen portrait - giving basic biographies or basic outlines of their history if it is a company. Included here are designers with Cecilie Manz and Caroline Olsson, design studios such as Frama in Copenhagen and Futudesign in Helsinki, architects including Norm, established design stores such as Hay and Normann that are not simple retailers but commission designs but there are also several hotels and restaurants with SP34 and Oaxen Krog and design galleries with The Apartment in Copenhagen and Spark Design Space in Rejkjavik. There was clearly an effort to be fair in selecting people and companies from each country, - from Denmark, Finland, Iceland, Norway and Sweden - and the selection even manages to include designers now based outside the region with Everything Elevated with two Norwegian designers based in Brooklyn and Hunting & Narud established in London. In a relatively compact volume, that might be seen as cramming in too much and allowing too little space for each but actually what it does show very well is just how positive and dynamic young designers are right now in these countries and by presenting generally the same questions to all these people, some interesting threads and common themes come across very strongly. For a start, what the book shows is that there really is a strong regional style. Including Iceland does stretch the definition of ‘region’ but it really is all about northern light, proximity to the sea, an appreciation of natural materials and the search for ways of coping with long, cold and dark winter nights while taking as much as possible from long clear bright summer days. It also tries hard and does succeed in dispelling the myth that Nordic design is simply living off a strong back catalogue. Many of the designers talk about their respect for work from the 1950s and 1960s but none of them seem hidebound by that. Looking through so many images of works from young designers one thing really is striking and explains, in part, the ongoing success of Nordic design: Nordic design from the 20th century is broadly recognisable by place of origin but so often is not time specific. Perhaps that is one definition, if not the definition, of a work being a classic design. By focusing on clear strong shapes and by reducing pattern, specific period becomes less clear. So, the Acorn pendant light by Atle Tveit is stunningly beautiful and the bottom line is that that is enough in itself but you do a double take when you see it. Is it a re-release of an earlier design classic? Look carefully at the shape and the use of oak for the stem to take the flex and it begins to reveal subtle contemporary elements. Maybe this explains another strength of Nordic design: if the aim is to design works that are timeless, that makes it much easier to combine furniture and objects from different periods in a room. Designs have a common aesthetic and not a sell-by date stamp. That is not to say that there are no current trends: it is possible to see here that recently there has been a move back to much stronger and bolder colours and also an interest in thin metal frames - now often square in section rather than tubes - forming cubes or frames for shelving, a mirror from John Astbury, table supports and even chairs giving pieces an elegant geometric clarity - powder-coated steel alternatives to all that pale wood. There is still a strong emphasis on quality and on craftsmanship and skill so Snickeriet in Stockholm are a group of cabinetmakers and the Norwegian designer Martin Solem, now based in Copenhagen, worked at the traditional carpentry company of Rud Rasmussen. Many of the designers talk about the importance of being close physically to the sea or to countryside. Lars Beller Fjetland living in Bergen actually goes as far as to explain that “there is less visual noise that tends to clutter my mind.” The inspiration of the natural world is very much an immediate and direct inspiration for many. Lith Lith Lundin seem to farm and they go as far as to say that “It’s the mixture between city life and the serenity of the countryside” that inspires them the most. One huge benefit from the new digital technologies is that designers can work where they feel happiest without being isolated from fellow designers or from clients and customers. In the third and final section, the same format, with short introduction and then questions and answers, is retained for discussions with twelve ‘International Commentators’ with editors and writers Amanda Dameron, Dominique Browning and Susanna Vento, the director of Skandium in London and a number of bloggers who post about Nordic design. The designers Ilse Crawford and Samantha Denisdóttir are also included in this section. My only real criticism of the book is that the photographs are either from the companies themselves or from magazines and journals so markedly styled rather than showing items in genuine or realistic settings. Again, that is not a problem specific to this book but is generally a problem across the whole design sector. And it will become more and more of a problem as people order even big-ticket items on line and have to rely on photographs to decide what they will or will not buy. It was interesting that for 3daysofdesign - the design open days in Copenhagen last summer - Fritz Hansen set up in their main show room an apartment that had been assembled for the Milan Furniture Fair with a bedroom, sitting room, study and dining room. More than anything it reinforced in an interesting and positive way the existence of an obvious company design aesthetic that is not always clear when you see a single piece of their furniture in someones home or a display with the competing visual distractions you have in a store or at a design fair. It is ironic that one photograph in the book that looks like an apartment, be it a rather large and dramatic apartment with an ornate open metalwork staircase at the centre, is actually the main show room of Hay in the centre of Copenhagen. Danish Architecture Centre have just published a new edition of their Guide to New Architecture in Copenhagen. There are 153 buildings or sites or themes covered that are divided between seven sections - Culture and Leisure, Urban Spaces, Housing, Public Buildings, Trade & Industry, Path & Links and last Master Plans. Each section has an introduction by a specialist or professional involved in architecture or planning in the city and then each entry has a photograph, summary of information including architect or engineer and client and date and then a brief assessment. There is a fold-out map at the back to locate each building or site so this is very much a pocket guide book to carry around the city. Buildings or sites covered range in date from the Maritime Youth Centre from 2004, through works in progress, like the new inner harbour bridge at the end of Nyhavn, and schemes, like the extension to the Metro not due for completion until 2019 so new buildings covering some fifteen years although, of course, some of the larger projects started in their conception and planning stage in the last century. As with previous editions of this guide, further information can be tracked down through the on-line site of the Danish Architecture Centre. 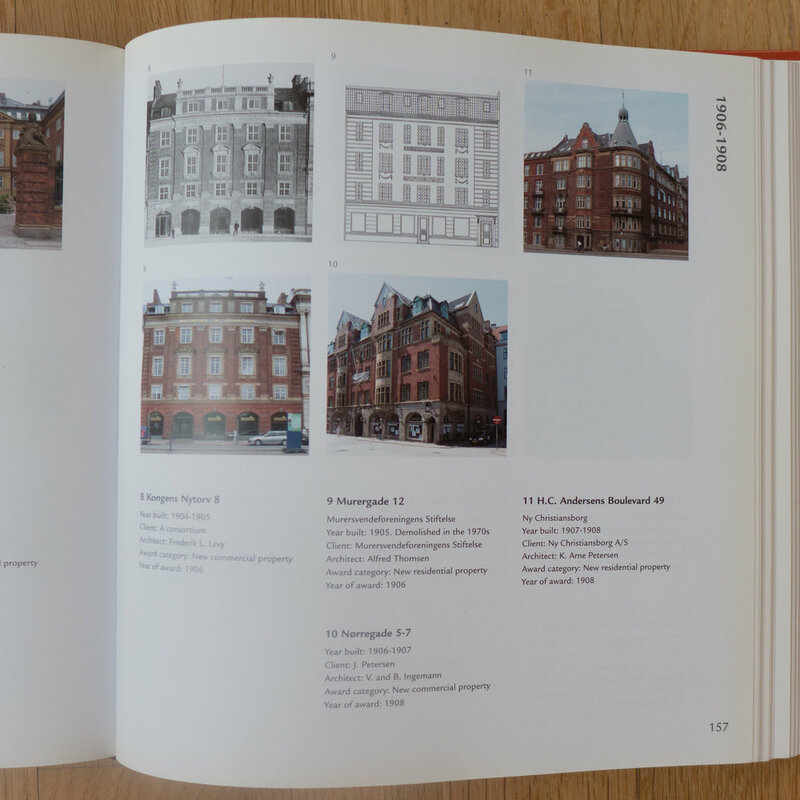 The best pocket guide to the architecture of the city, though admittedly for a large pocket, is the Copenhagen Architecture Guide by Olaf Lind and Annemarie Lund. It was published by The Danish Architectural Press with a first edition in 1996 but a revised edition came out in 2005. It is still available in book shops. 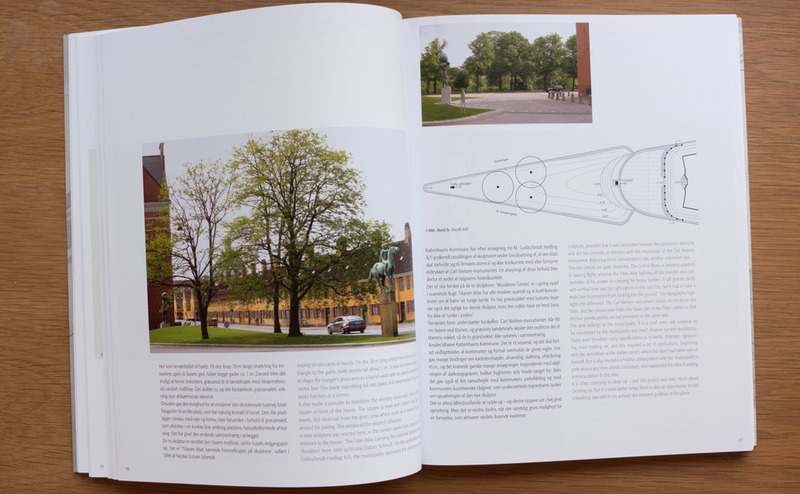 There is a good introduction with an outline of the topography and the historic development of the city and then the major historic and modern buildings are covered with generally a single page or, for the larger buildings, a double-page entry for each although major buildings such as Frederiksberg Palace and its gardens has three double-page spreads. With the compact format, text has to be tightly edited but there is a well-written summary of each building, a good general photo to capture the overall look and character of the building and, where possible, to at least indicate the setting and there are some details of interiors or exterior features where there is space or that feature is important and there are historic plans and drawings where those are significant or interesting. Because this is ostensibly a walking guide, the city has been divided by a grid into 9 equal sections, and each section is preceded by a map with clear numbers to indicate the location of each entry. Within most sections buildings are arranged in chronological order. The exception is a section that covers both sides of the harbour so the buildings on the Holmen side are set out in sequence first and then the buildings on the Marble Church side of the harbour. It is inevitable that in trying to bring such a huge mass of material into a logical arrangement there has to be some awkward divisions so that is not a criticism. A tenth section covers the buildings in the outer districts of the city and to visit those it would be best to have a bike although public transport covers most of the area well. The Danish Architecture Centre has produced a series of slim (if tall-for-most-pockets) guides to the most recent buildings - published in 2007/2008, 2009 and the most recent in May 2013 - and DAC now also maintains an on-line index on their web site which is a very useful source for information about the architect, engineers, client and in many cases the cost of projects under the title Copenhagen X.
Edited by Hedvig Hedqvist and Elna Svenle and published by Museum Vandalorum, the book produced with the exhibition is extensively illustrated and along with a short introduction, presents a selection of items and designs from the exhibition in their chronological sequence - not an entry for every year of the century but well over 50 items or ideas or developments and some covering a number of years. A large number of experts have contributed to the catalogue and it compliments the extensive amount of information presented in the text panels and labels in the exhibition itself. This second volume of Ny Agenda covers 39 landscape schemes from 29 different offices that were undertaken and completed between 2009 and 2013 - a final selection from 109 submissions. These have been grouped into five sections - New Sobriety, Heritage Reinterpreted, Exercise through Play, Urbanisation and Climate and Growing Power After All - to cover major trends identified in design in landscape architecture over the five years. 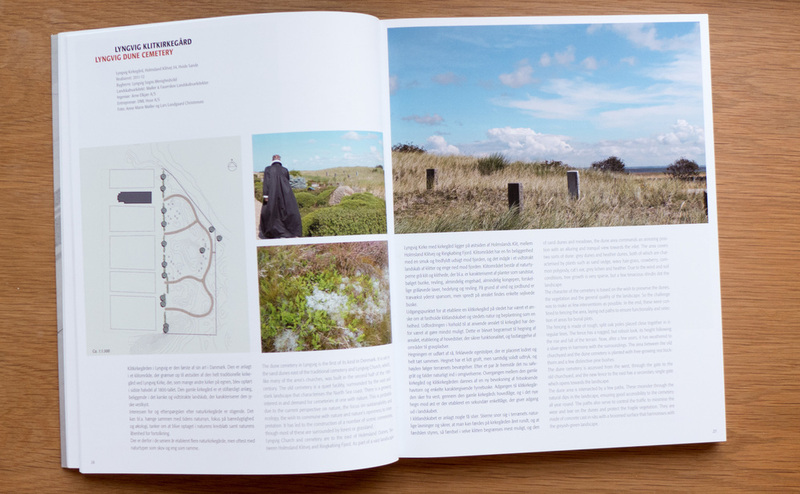 There is a foreword and an essay by Annemarie Lund on Old-time Values and an essay by Lisa Diedrich on The Danish Way - A European Glance at Danish Landscape Architecture. In her essay on Old-time Values Annemarie Lund argues that the criteria for recent awards for landscape design - sustainability, sculpting of the terrain, quiet spots and a better place to live - reflect qualities and values for which Danish landscape design has been appreciated and admired since the middle of the last century. But some newer trends are identified with an increasing awareness of the value of appropriate landscape changes to encourage and help people to exercise and of course changes determined by our response to climate change whether that is growing food or dealing with patterns of heavier, more intense rain fall. Generally, the schemes are presented as a double-page spread although major works are taken over four pages and the monuments area in Jelling, the foreshore park around the National Aquarium, the Fredensborg Palace Garden, the new garden in front of the renowned restaurant NOMA and the landscape around the castle of Kronborg are each given 6 pages but all with a clear and simple layout with a two-column design to allow for parallel Danish and English text. Photographs are superb and there is a good use of drawings and the team involved in each project is listed. Together this means that the book can be used with a computer to use the internet to call up maps, particularly for Copenhagen the Google 3D maps, and information from company and city internet sites to provide context or a broader or deeper level of information about specific places. What comes across strongly is, that if any aspects can be seen as common to these widely diverse and varied landscapes, it is the Danish determination and persistence to use the very best materials as a matter of principle, investing in the future, but also to show courage when dealing with historic towns or major monuments to both try and to succeed with innovative or radical ideas.